Finally back in NYC from Paris! Missing the city of lights for sure. Had so many adventures and made lots of new friends. So much to share from the trip, but now back to catching up on things here in the Big Apple. A look from NYFW. I'm pretty swift on a bicycle. But can't really say the same for the motorcycle. But I'll just play pretend. This jacket is probably the coolest thing in my closet right now. Going to take this thing with me to the grave. We'll see if it ever really makes its way onto the back of a motorcycle before then. Maybe someday. Rock n'roll babe! You look breathtaking! 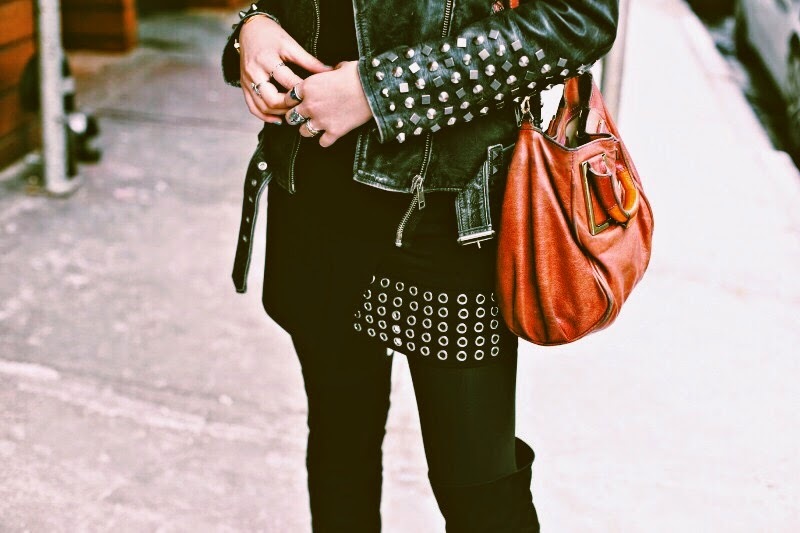 Love the studded details! Hope Paris was fab! Can't wait to see the photos you took! Love the jacket so beautiful! That jacket is sick, I want it nooow! 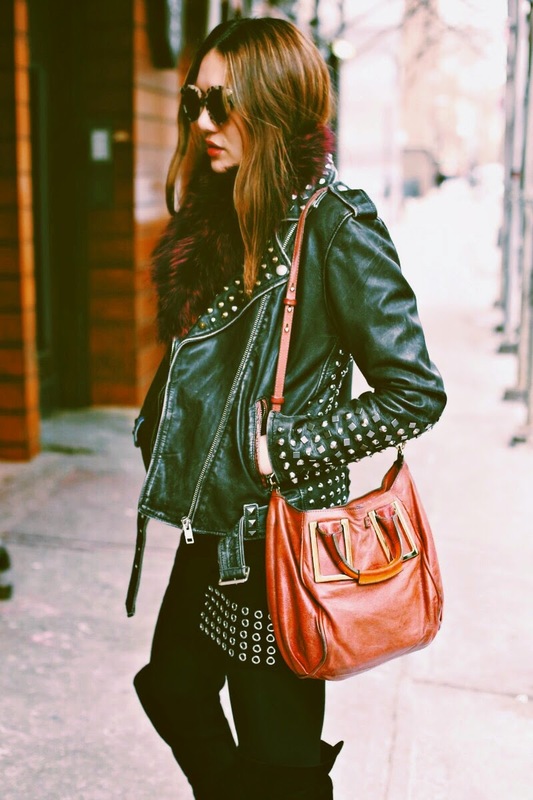 love the studded leather jacket and you look like a rock star !! rad look, lovin that leather jacket!! Love the eyelet skirt! 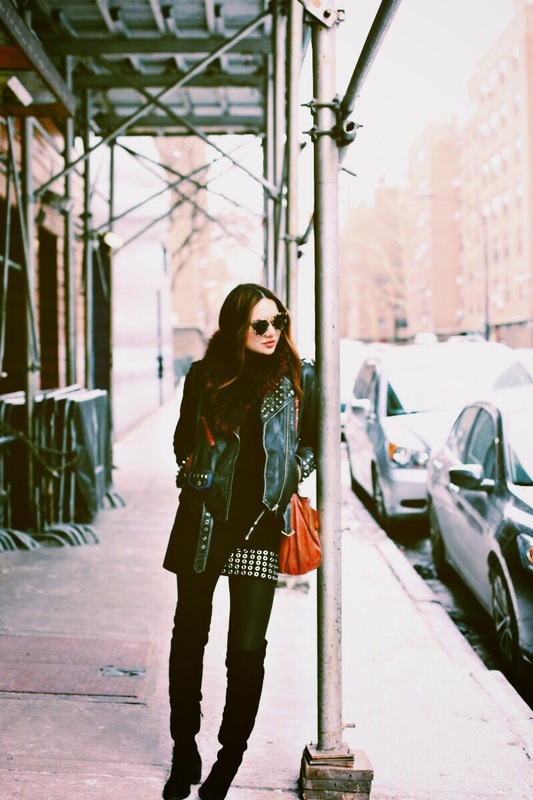 Gorgeous biker jacket too Dylana! That huge sunnies so good on you, so beautiful.